A member of the Cedar Falls School Board is now a senator-elect. 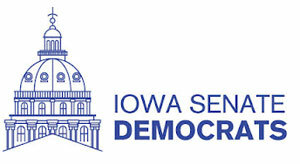 Democrat Eric Giddens won today’s special election for an open seat in the Iowa Senate, beating Republican Walt Rogers by 15 points. Giddens will represents all of Cedar Falls, the community of Hudson and a small portion of Waterloo. “There was just so much enthusiasm and support for this campaign in such a short amount of time. I’ve been overwhelmed…and this is a really, really important and special thing and I’m just incredibly grateful for everything everybody’s done and I’m excited to get to work,” Giddens told Radio Iowa this evening. Giddens is a program manager at the Center for Energy and Environmental Education at the University of Northern Iowa. Giddens replaces Democrat Jeff Danielson, who resigned a month ago to take a job in the private sector. Giddens faced a well-known Republican competitor in Rogers. Rogers ran in the district a decade ago and lost to the Democratic incumbent by just 22 votes. Rogers then served four terms in the Iowa House, representing half the senate district. Rogers, who lost his bid for reelection to the Iowa House last November, hasn’t decided what’s next for him. Giddens expects to be sworn into office next week, after the Black Hawk County Board of Supervisors conducts the official canvas of the votes in the special election and certifies the results.